Five years ago, in order to boost the population’s height and life expectancy, Thailand’s health department began encouraging increases in milk consumption among school children (2 glasses) and adults (1 glass). This well-meaning initiative accompanied a much larger national campaign that promoted the benefits of breastfeeding children for longer and ahead of infant formula in particular. However, the facts around eating and drinking dairy products aren’t as clear cut as people have been led to believe. The misconception that dairy, and milk in particular, is the best source of calcium gained prominence in the 1980s due to the lobbying activities of the monolithic dairy industry on western governments. 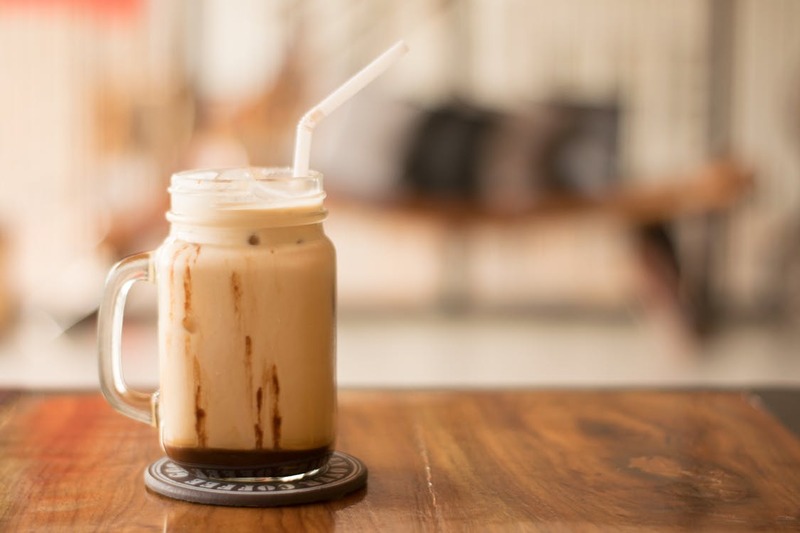 Nowadays, milk flies off the shelves of convenience stores in Thailand in the form of sweetened condensed milk, which is typically served in Thai coffees and teas. Yet it’s a little-known fact that many Thais don’t have the stomach for the white stuff – and education around the prevalence of people with lactose intolerance in Thailand is seriously lacking among consumers, health care professionals and politicians. 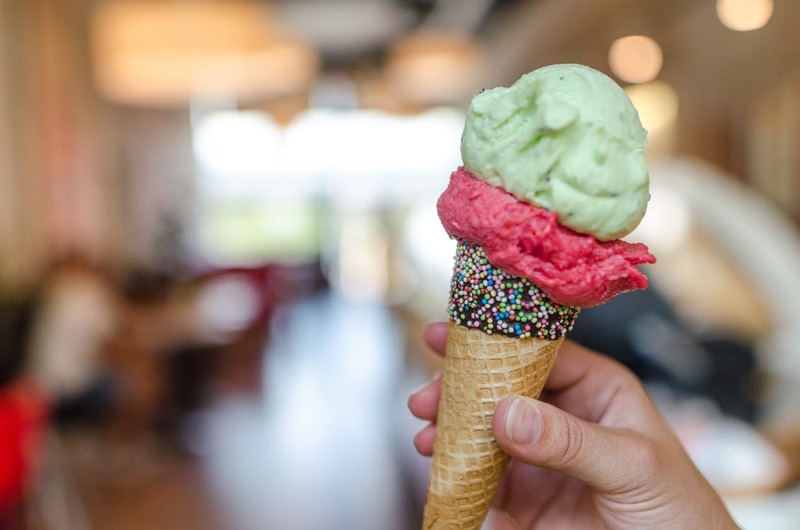 Lactose intolerance is a common condition caused by the inability of the digestive system to metabolise lactose – the sugar found in milk and other dairy products. Some 90% of South Asians are thought to be lactose intolerant – more than three times the rate of other ethnic populations. But why the difference in tolerance between the regions? One prevailing theory relates to the history of agriculture and the differences in access to nutrients. Calcium is essential for the healthy functioning of muscles, nerves and cells, and also promotes bone growth. The calcium is more easily absorbed in breast milk than through other food sources, so after we depart from the safety and convenience of our mother’s bosom, we rely on vitamin D to aid the absorption of calcium. Living closer to the equator, Asians benefit from year-round sunlight, which is an essential element of the production of vitamin D. Meanwhile, Europeans are left to deal with long, dark winters, and have comparatively been getting lower level of vitamin D. Hence, they developed the need to supplement their calcium intake through other sources, usually consuming milk. Before the advent of agriculture some 12,000 years ago, mother's milk was the only source of lactose in the life of a mammal. Once weaned from breast milk, there was no need for adults to digest milk, and the human body stopped producing the lactase production enzyme required to digest the lactose in milk – resulting in lactose intolerance. However, the cultivation of dairy products through agriculture meant European adults developed a greater resilience to the lactose in dairy over the centuries, and related food and milk products then became a staple of the western diet. 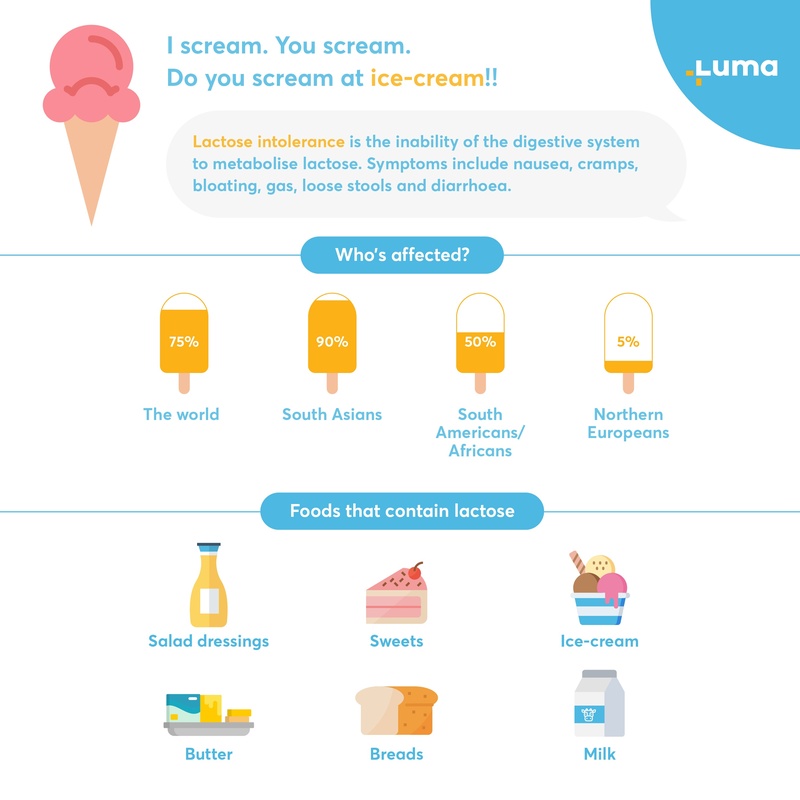 Symptoms of lactose intolerance include nausea, cramps, bloating, gas, loose stools and diarrhoea. The effects usually begin between 30 minutes to 120 minutes after its consumption, and range from mild to severe, depending on different factors. Variables influencing the severity of symptoms include the amount of lactose a person can tolerate, along with their age, ethnicity and digestion rate. Having the right comprehensive health insurance can be a huge relief when suffering from the more severe symptoms. If you suspect you are suffering from the effects of lactose intolerance, try eliminating dairy products from your diet for two weeks to see if the symptoms resolve. Otherwise, you can ask for a hydrogen breath test at your local hospital for a quick diagnosis on your potential milk allergy. Some processed meats like ham. Soy-based milk – opt for calcium-fortified – and other soy food products. Milk and milk-based products can add richness and flavour to many types of food. Milk also enjoys a good reputation across many cultures – but people’s bodies are different, and it is best to determine whether or not your diet should include milk. 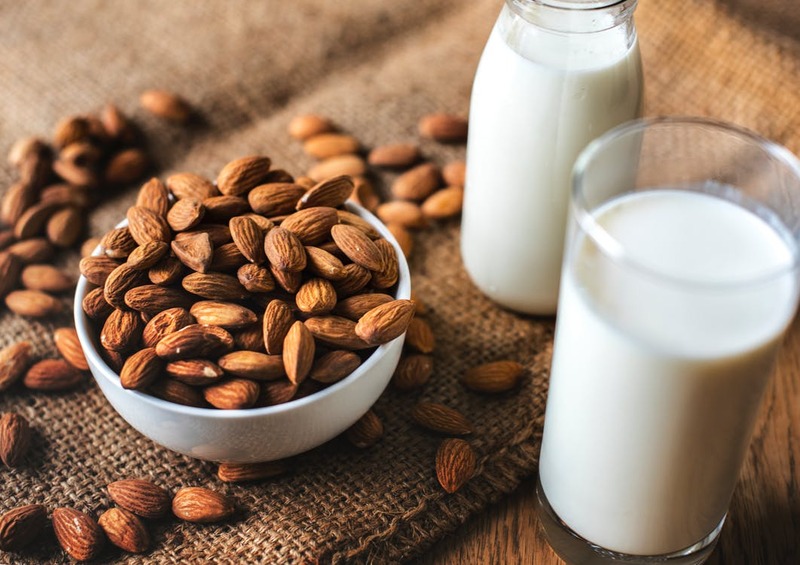 A good understanding of the surrounding issues, including nutrition and potential lactose intolerance, can help you find the right balance for your body. We also recommend consulting your doctor if you feel you may be lactose intolerant, to receive worthwhile nutritional advice for keeping your body healthy. For more health-related tips and advice, browse through our blog – and remember to make sure you have comprehensive health insurance in case you need medical attention.